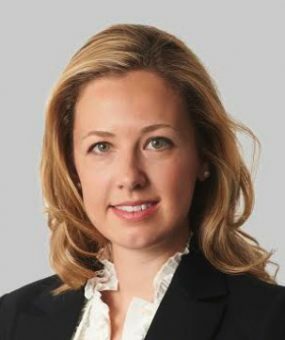 Jennie Wild’s practice covers a broad spectrum of commercial disputes that fall to be resolved by way of litigation, adjudication, international arbitration and ADR, including energy, construction, engineering, professional negligence and associated insurance disputes. She has experience of heavy, complex and high value claims in international arbitration and the TCC. In addition to led work, Jennie advises in her own right and regularly appears as sole advocate in the High Court and County Courts. Middle East: Three Middle-Eastern airport arbitrations, and a $2billion ICC arbitration arising out of the termination of a hospital project. Australia: A $127m ICC arbitration concerning an offshore LNG development project. Domestic: A three week TCC trial concerning an on-shore gas pipeline in Shetland (Van Oord UK Ltd v Allseas UK Ltd  EWHC 3074 (TCC) and  1 CostsLO 1), an emergency injunction application seeking the withdrawal of a call on a €24m bond and an adjudication enforcement hearing concerning issues of natural justice and excess of jurisdiction (Stellite Construction Ltd v Vascroft Contractors Ltd (2016) 165 ConLR 108). In addition to her work as counsel, Jennie is a contributing editor of the Construction Law Reports, Keating on Construction Contracts, Keating on JCT and Halsbury’s Laws. Jennie is recommended in the Legal 500 UK Bar and EMEA guides. Before coming to the Bar, Jennie worked at the Law Commission on the reform of insurance law, unfair contract terms and fiduciary duties and prior to that, in Australia, at the Victorian Government Solicitor’s Office and for the Principal Judge of the Victorian Commercial Court. Reported cases: Van Oord UK Ltd v Allseas UK Ltd  EWHC 3074 (TCC), Van Oord UK Ltd v Allseas UK Ltd  1 CostsLO 1 and Stellite Construction Ltd v Vascroft Contractors Ltd (2016) 165 ConLR 108. For Respondent (with Richard Harding QC and James Thompson) in a DIAC arbitration concerning an airport in the Gulf, with a particular focus on IT system issues. For Claimant (with Marcus Taverner QC and James Thompson) in an ICC Final Account arbitration concerning an airport in the Gulf. For Respondent (with Richard Harding QC) in an ICC arbitration concerning a sub-contract dispute relating to an airport in the Gulf. A 3-week TCC trial (with Finola O’Farrell QC) concerning an onshore gas pipeline in Shetland. For Respondent (with Richard Harding QC and Lucy Garrett) in $2 billion ICC arbitration arising out of the termination of a hospital project in the Gulf. For Claimant (with Finola O’Farrell QC and Sam Townend) in a $127million ICC arbitration arising out of a LNG project in Australia. Drafted pleadings for Claimant in claim concerning defective lifts in student housing (claim value c£1m). Drafted pleadings for Defendant in architect’s professional negligence dispute concerning a defective church roof (claim value £120,000). Advised a contractor in relation to a number of issues referred by the Supreme Court of Ireland to the Court of Justice of the European Union. Advised in relation to a claim for damaged fibre optic cables. Advised on the prospects of pursuing a claim in negligent misstatement against a firm of architects. Advised on copyright issues arising on purchase of a partly completed housing project. Drafted Letter of Claim and Particulars of Claim in a dispute relating to a window and door fabrication machine (claim value c£1.5m). Drafted Particulars of Claim, Response to Part 18 Request and Reply in a claim relating to an industrial air conditioning supply and installation contract. Drafted Particulars of Claim in a dispute relating to breaches of the National House Building Council Rules and Buildmark Policy. Drafted Particulars of Claim in a dispute relating to the defective design and installation of lifts (claim value c£700,000). Drafted Particulars of Claim seeking payment of invoices for the manufacture and installation of steel handrails. Assisted with the drafting of a Witness Statement and Skeleton Argument for a CMC in a claim for property damage and business interruption losses relating to the construction of commercial premises (claim value £170m). Assisted with the drafting of a Skeleton Argument for an appeal in the Court of Appeal relating to the proper construction of a limitation clause in a contract for the design and construction of a low density polyethylene plant. Assisted with the drafting of pleadings in a claim for defective glass curtain walling in a substantial commercial building (claim value £20m). Construction dispute (High Court, Birmingham TCC) – unled. Acted on behalf of the Defendant in a CMC in the Birmingham TCC relating to a dispute regarding the design of an access road and crane footings (dispute value c£500,000). Construction dispute (High Court, Commercial Court) – with Stephen Furst QC. Emergency injunction seeking the withdrawal of a call on a €24m bond arising out of the suspension of works to a Low Density Ammonium Nitrate facility in the Middle East. Construction dispute (Central London County Court, TCC list) – unled. Acted on behalf of the Defendant in a heavily contested CMC in a professional negligence claim against an architect. Sale of goods (High Court, QBD) – unled. Acted for a Hong Kong based manufacturer in an application to set aside default judgment and resisting an application for a third party debt order in relation to a sale of goods dispute. Insolvency (High Court, Bankruptcy & Companies Court) – unled. Instructed in a number of High Court insolvency disputes. IT & Technology (County Court, various) – unled. Acted on behalf of a major telecommunications company in a series of interim applications and trials in commercial and consumer disputes. Property (High Court, QBD) – unled. Instructed to appear at a CMC in a Part 8 claim for a declaration as to the extent of the Claimant’s land rights. Property (County Court) – unled. Acted on behalf of a property owner seeking possession and an order for outstanding rent arrears and electricity charges. Reported cases: Stellite Construction Ltd v Vascroft Contractors Ltd (2016) 165 ConLR 108. Advised whether a pain/gain sharing agreement was subject to adjudication. Advised on prospects of successfully resisting enforcement of an adjudicator’s decision that a final certificate had been validly issued. Drafted the Response and Rejoinder to a claim relating to the pre-tender design of a car park (claim value c£200,000). Drafted the Notice of Adjudication and Referral Notice in an adjudication concerning defects in the construction of a large development of flats (claim value £4m). Drafted the Notice of Adjudication and Referral Notice in an adjudication concerning defects in a luxury residential refurbishment project (claim value c£300,000). Drafted the Response and Rejoinder to a claim relating to the refurbishment of a sport and leisure centre (claim value c£500,000). Drafted the Response to a claim relating to the design, installation and commissioning of a wet riser system in a commercial office block (claim value c£700,000). Drafted the Response and Rejoinder in an interim payment dispute (claim value £75,000). An emergency injunction application seeking the withdrawal of a call on a €24m bond. Advised on whether to seek an injunction to restrain a call on a performance bond where the alleged entitlement was in restitution. Advised on whether to file a proof of debt for a claim on an indemnity granted by a now insolvent defendant. Advised on the required time for service of papers in a possession hearing and whether time could be abridged. Assisted in advising on the likely forum and applicable law for a dispute between an English company and Qatari company whose main centre of operations was in Dubai, concerning a development in Qatar. Advised on the applicability of insurance policies to claims relating to defective new-build properties. Assisted in advising on the implications of potential claims on CAR and PI policies in framing an adjudication claim. Assisted in advising on the merits of a claim against the insurer of an insolvent company, pursuant to the Third Parties (Rights Against Insurers) Act 1930. Whilst at the Law Commission, Jennie was intimately involved in the drafting of the new Consumer Insurance (Disclosure and Representations) Act 2013 and the Insurance Act 2015. "Senior beyond her years: very methodical in her approach and meticulous in preparation." Contributor to Keating on Construction Contracts 10th Edition and 1st Supplement – 2016 and 2017. Jennie enjoys art, travelling and runs the Keating netball team.